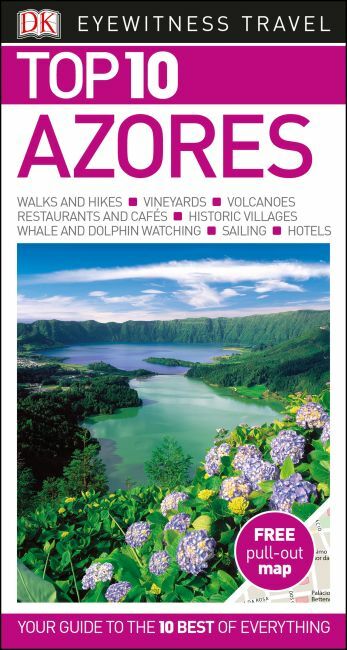 An unbeatable, pocket-sized guide to the Azores, packed with insider tips and ideas, colour maps, top 10 lists, and a laminated pull-out map - all designed to help you see the very best of the Azores. Explore Pico Island's vineyards, dive coastlines teeming with sea life, hike the green walls of Sete Cidades' volcanic crater or enjoy some of the best whale and dolphin watching in the world. From Top 10 birdlife to the Top 10 natural swimming pools and thermal springs - discover the best of the Azores with this easy-to-use travel guide. Staying for longer as part of a bigger trip around Portugal? Try our DK Eyewitness Travel Guide Portugal.